Two key players are sidelined with injuries — winger Eduardo Salvio (Benfica) and Manchester City star Sergio Agüero. Argentina’s national football team will gauge its level here on Friday night in a pre-World Cup friendly against an Italian squad in rebuilding mode after failing to qualify for the FIFA World Cup in Russia. It will be the first of two friendlies over a period of five days for FC Barcelona superstar Lionel Messi and the rest of head coach Jorge Sampaoli’s men, who will take on Spain on Tuesday night at Madrid’s Wanda Metropolitano Stadium, reports Efe. Argentina’s new call-ups include Racing Club striker Lautaro Martinez, one of the big stars of the current Argentine league season and a player coveted by some of Europe’s top clubs; and veteran Juventus forward Gonzalo Higuain, who is returning to the Albiceleste for the first time in nine months. Also returning are three English Premier League players: defenders Ramiro Funes Mori (Everton) and Marcos Rojo (Manchester United) and veteran goalkeeper Willy Caballero (Chelsea), who is looking to assume the national team’s net-minding duties for the first time at age 36. Besides Messi, other key fixtures of the Argentine squad also figure to be in action at Etihad Stadium on Friday night, including goalkeeper Sergio Romero, defenders Gabriel Mercado and Nicolas Otamendi and attacking midfielder Angel Di Maria. Italy, for its part, is turning to a group of promising young players after failing to qualify for the World Cup for the first time since 1958. Patrick Cutrone (A.C. Milan), Federico Chiesa (Fiorentina), Gianluigi Donnarumma (A.C. Milan), Daniele Rugani (Juventus), Bryan Cristante (Atalanta) and Lorenzo Pellegrini (Roma) are among the members of Italy’s youth brigade who could get a chance to shine on Friday night. Among the veterans, 40-year-old net-minding legend Gianluigi Buffon will be in the goal for what could be his penultimate game with the national squad. 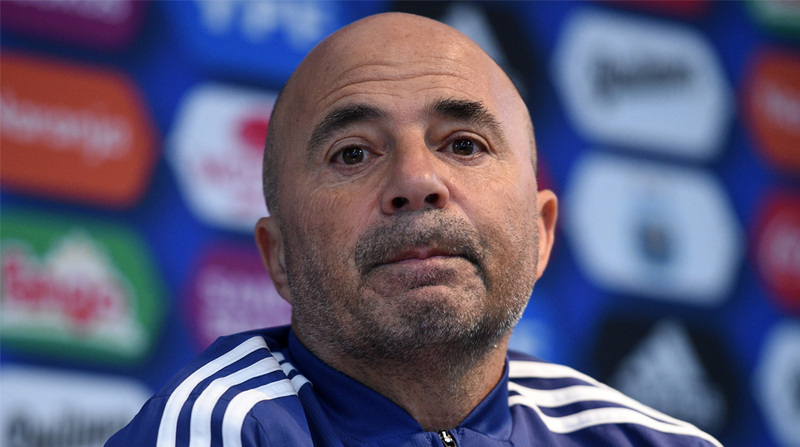 Argentina: Caballero or Romero; Mercado, Federico Fazio, Otamendi, Nicolas Tagliafico; Leandro Paredes, Lucas Biglia; Manuel Lanzini, Di Maria, Messi; and Higuain. Italy: Buffon; Alessandro Florenzi, Leonardo Bonucci, Rugani, Leonardo Spinazzola; Jorginho, Marco Verratti, Marco Parolo or Pellegrini; Antonio Candreva, Lorenzo Insigne and Ciro Immobile.